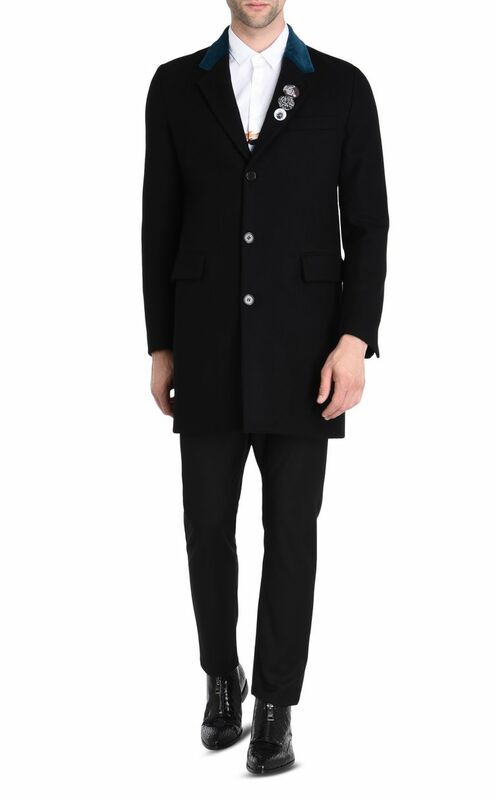 Classic-cut black coat in a virgin wool and cashmere blend. 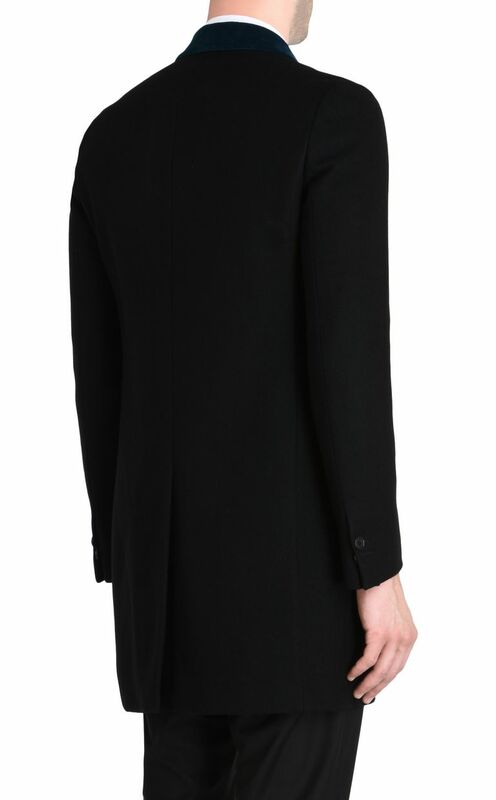 Front eyelet-button fastening, V-neckline and mock pockets. 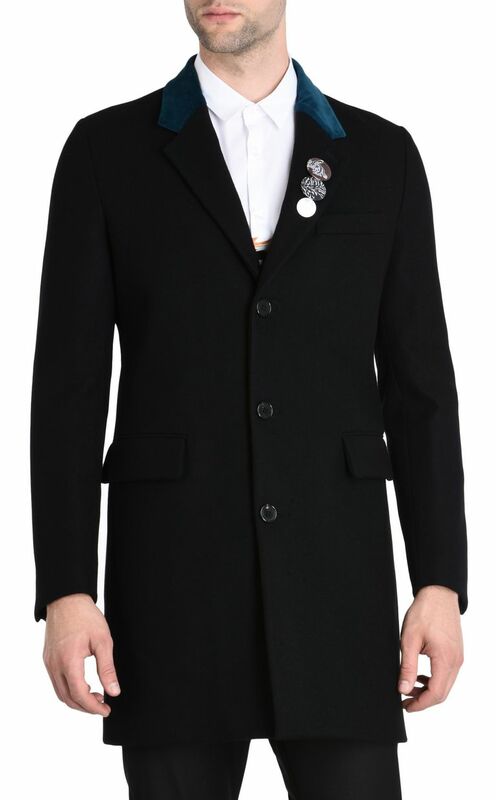 Featuring pin details on the lapel and a contrast collar. Regular fit. Slightly fitted at the waist.